F100PK is a front and rear dash cam pack that includes the F100 (front) and F100RA (rear). Simply add an optional THINKWARE Hard Wire Cable (HWC) right away so you'll be able to have them professionally installed. Powered by Sony Exmor imaging sensors, F10016PK records in full HD 1080P (front) and HD 720P (rear) at 30 frames per second. 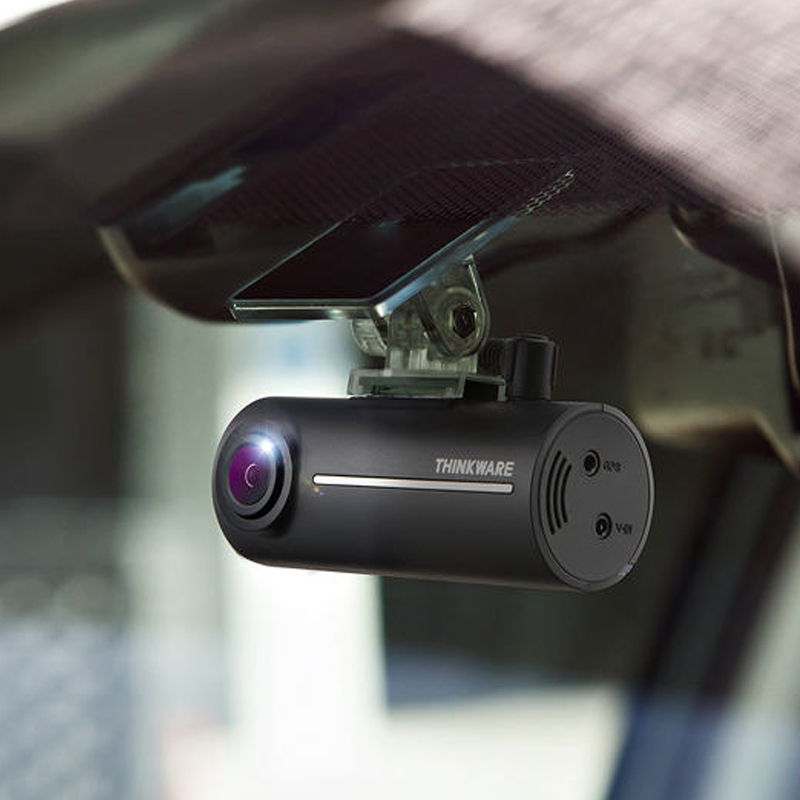 It's an easy to use 2-channel dash cam with G-Sensor Incident Detection that detects and records a 20-second video (10 seconds before and after the impact). F100PK empowers your driving experience and gives you peace of mind whenever you leave your vehicle on its own in a parking lot thanks to its advanced parking mode (when installed with the optional HWC Hard Wire Cable Kit). Connect it to an optional GPS Antenna (GPSANT) and F100PK will notify you on nearby speed and red light cameras, embedding speed and location into the footage while in transit. F100PK supports up to 64GB memory; no need to keep on deleting previously recorded footage because Format Free 2.0 got you covered.